Call + 1 473 439 3438 today to book a tour of our show suites or browse the website for more information. The Prickly Bay Waterside development sits at the water's edge of the Lance-aux-Épines peninsular in the fashionable southern end of Grenada, less than ten minutes drive from the airport. 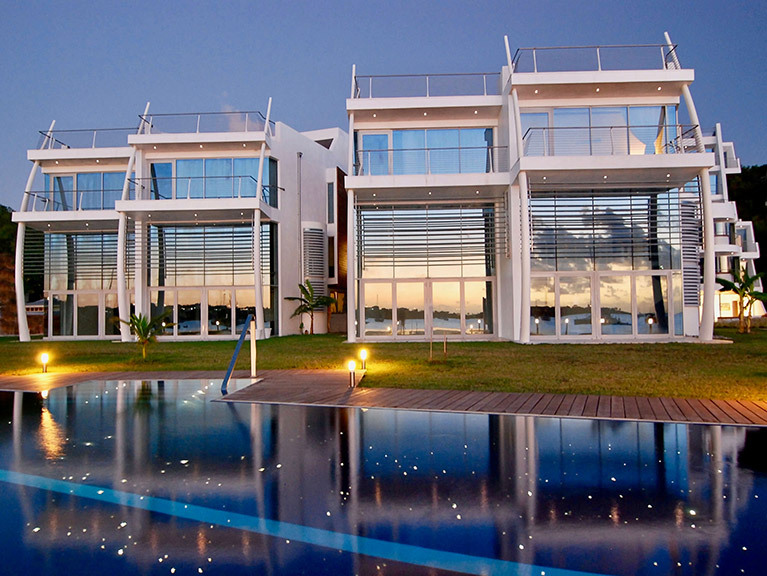 Prickly Bay Waterside is an adventurous, exciting, groundbreaking development of luxury, hi-tech houses and apartments. Good design is timeless and Prickly Bay Waterside has all the hallmarks of a current and future classic.